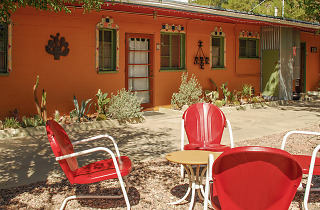 This small boutique hotel is just as quirky as its name; part Mexican hacienda, part colorful motor lodge, Spin and Margie's is just five minutes from the west entrance to Joshua Tree National Park and the Joshua Tree Visitor Center, but feels tranquil, private and miles away from the (relatively small) bustle of town. Each of the four suites come with two bedrooms (great for families or groups of friends), fully equipped kitchens and private outdoor patio space. There's also a standalone cabin perfect for couples (preferably couples who don't like to cook, as there's no kitchen here). 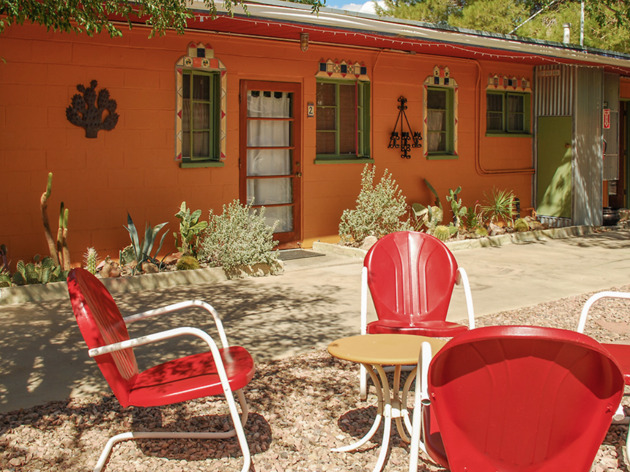 The draw here is really the common outdoor space, with funky cactus landscaping, lots of local art and plenty of lounge space including lawn chairs, picnic tables and desert-style adirondak loungers.